BMW’s compact, family Sports Hatchback is available with either three or five doors and comes equipped with rear-wheel drive, a choice of exceptionally fast and efficient engines and technology integrations that ensure complete driving pleasure. Specifications for each model of sports hatch are high – 16” alloy wheels, run flat tyres and a 6.5 inch infotainment screen incorporating iDrive come as standard. The BMW Sports hatch is designed for outstanding performance and drivers with a feel for adventure. 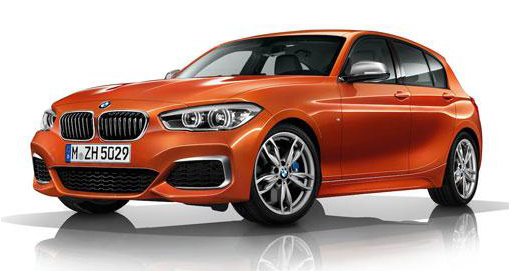 Driving pleasure is evidently at the core of the BMW 1 series design concept. Attention to detail shows through from the run flat tyres that have thicker reinforced sidewalls to prevent punctures and enable you to reach your BMW service centre for repairs if you are unfortunate enough to damage a tyre, all the way through to the sharp responses, comfortable cornering, and decent levels of grip that are achieved through mutual balanced handling. All is wrapped up in a sporty design that’s clearly part of the BMW family – the kidney-style grille is undeniably BMW’s and the rear bumper with the high-gloss black finisher ensures you’ll not be mistaken for anything other than a dynamic BMW from behind.